Sport utility vehicles, or SUVs, have become nearly ubiquitous on American highways. These vehicles bring families to and from events, help people move to a new house, or just serve as a method of daily commute. Unfortunately some types of SUVs are at a significantly increased risk of rollover crash– which then leads to a significantly higher chance of severe injury or even death. There are many reasons why an SUV could roll over in an accident, but none of them are comfort for the victims of such a crash. 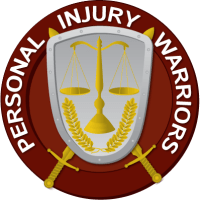 Many of the motor vehicle accident experts at Personal Injury Warriors International have seen it all before. For those in our organization who take these cases, their expertise in handling road accidents in busy towns in places like Southern California, have led them to become of the foremost firms in the region. They understand the causes and consequences of such accidents and can effectively counteract them. They have studied case law and news articles showing that certain SUVs were manufactured in an improper manner, faulty right out of the factory. They have also studied the effects of certain weather patterns on crash statistics. They have also seen the results of driving patterns and driving fatigue on further accidents. All told, all of this experience gives the victim more than a fighting chance for legal recourse. Our attorneys, if they accept your case, are known for helping people like you with your medical care. In many cases, they will assist you in care even if you don’t have medical insurance. In fact, if you are without proper health insurance, our member attorneys can make sure that you get more than adequate treatment if you and them decide upon going that route. If your own health insurance company is refusing to assist you when you need your policy honored, we can step in at any portion of the process. We can also challenge every agency that could have been responsible for the crash. We can review whether or not your car’s repairs or maintenance was done properly. We review the safety records and other issues that your model of vehicle that could have created issues. In many cases, our veteran members have the professional contacts and experiences with doctors and professional actuaries to make sure that you receive the best possible medical care and insurance coverage payouts. Often, we can work with investigators and accident reconstructionists to put together every part of the accidents. This will assist you and your future lawyer in determining how to proceed; and if you need to have a court case or not. Speaking with one of our members may mean that they will begin to work right away to get you the maximum compensation possible. Contact a PI Warriors Law firm or solo attorney in your state for more information or to set up a consultation.